Kamarudin (centre), Mohd Syafiq (left) and Zamakshari at the press conference at Sarawak Road Transport Department Complex this afternoon. KUCHING: Dredging works along Sarawak River around Senari Terminal worth RM420 million is going smoothly and is expected to be completed by August next year. Deputy Transport Minister, Datuk Kamarudin Jaffar said, the project that started in November last year should be completed in 2 years. He said that the contractors wanted to complete the 43 kilometer (km) dredging works much earlier. “The depth of the waterway once the dredging is completed, will be 9 metres deep at the normal water level from the current of depth of 5 metres. “The waterway with the width of 160 to 180 metres will allow for bigger vessels to pass through even if the water level is low,” he said. Kamarudin said this when met by reporters while on a working visit to the Sarawak Road Transport Department (RTD) Complex at KM 18.5, Kuching-Serian Road, this afternoon. Among others at the press conference, were State RTD Director, Mohd. Shafiq Anas Abdullah and Deputy Director General, Zamakshari Hanipah. He added, there is no need to buy time anymore and the port is ready for 24-hour operations which will give a significant impact to the businesses and economy around Kuching City. “Even though, there are challenges that the contractors will face especially on big rocks at the riverbed, they are confident that they will be able to do it,” he said. 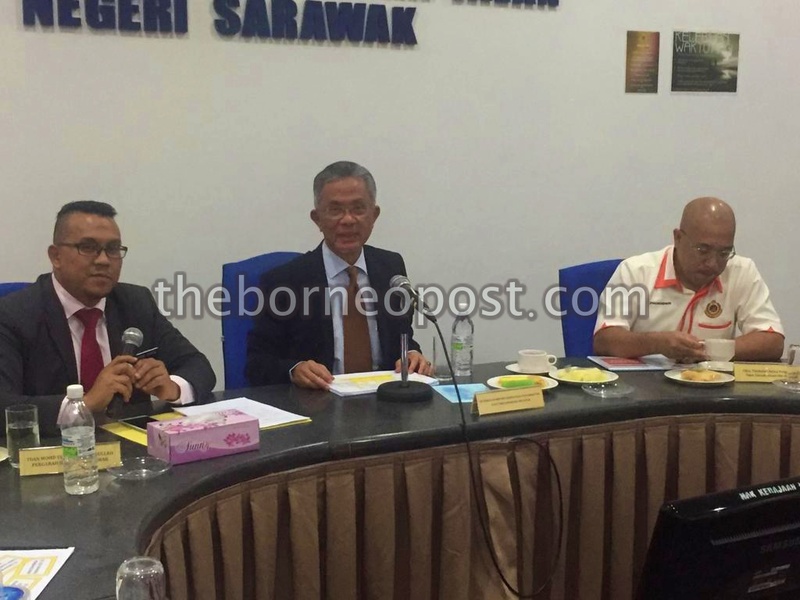 Meanwhile, on the request by RTD Sarawak on upgrading of the department’s facilities here in Sarawak, Kamarudin said, the Transport Ministry will look into the matter. “We will proceed based on priorities, whatever allocations that we can work on, we will look into this matter seriously,” he said. Apart from that, he said that the Ministry of Transport wants all RTD throughout the nation, together with Malaysian Institute of Road Safety Research (MIROS) to reduce road accidents in the country. “Death through road accidents have not been good. “We want more awareness to ensure that death toll from accidents lessens at a big margin, and this is the ministry’s priority,” he said. Earlier today, Kamarudin had visited Marine Department, Malaysian Maritime Enforcement Agency (Maritime Malaysia) and tomorrow he will be at Kuching International Airport (KIA).